As an Ohio OH business or company, it’s important to find ways to stand apart from the competition. One way to do this is by making sure that the graphics associated with your industry showcase your brand effectively. Capital Exhibits, a leader in personal and business 3D rendering design, graphic design, offers Ohio, OH businesses 3D rendering design & graphic design images and advertising developed to make the most of their goods or services. We also provide wide poster printing services for indoor and outdoor use. By choosing a graphic designer with Capital Exhibits for interior and exterior 3D rendering design, logos, brochures and other business communications, you not only spread the word about your company, you also offer potential customers a brief but important first impression about your services. Our professional imaging and graphic art design services ensure you always put your best foot forward when introducing your business to potential clients. Capital Exhibits proudly serves these Ohio cities, plus many others: Columbus, Cleveland, Cincinnati, Toledo and Akron, OH. 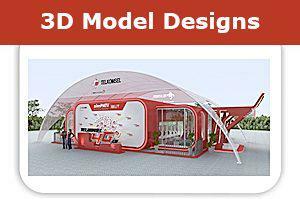 Capital Exhibits utilizes the latest cutting edge technology in each graphic design project we undertake. This means taking a modern, contemporary approach and relying on proven graphic design trends and techniques. 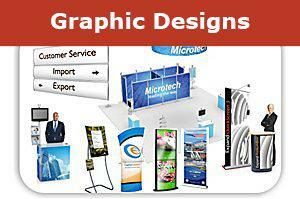 At Capital Exhibits, we don’t offer cheap graphic design; we offer premium design at fair and affordable prices. In today’s competitive consumer markets, we know your business needs the best value for every dollar. We provide this and much more with the following graphic art design services. For 20 years, we have measured the success of our increasing business by the success of customers like you, and that has kept people returning for more. By remaining true to our motto, “Build Your Best Image,” Capital Exhibits has helped Ohio businesses expand their reach and engage their target audience. With fast delivery, excellent craftsmanship and customer-focused service, it’s easy to see why our business graphic design is a leader in the industry. To find out how Capital Exhibits can help you with all of your graphics and imaging needs, contact a graphic designer today at 866-730-3746.With our high-quality services, we can turn your best graphic design idea into a showcase for your business.